Evan Hirsch performs internationally as both recitalist and chamber player. Although his repertoire ranges from Baroque to Contemporary, he is especially committed to the performance of the music of our time. He has premiered and recorded works of George Rochberg, Peter Child, Thomas Oboe Lee, Daniel Pinkham, and Martin Pearlman, to name a few. His recordings can be found on the New Albion, Arsis and Naxos Labels. Mr. Hirsch travels widely as part of the Hirsch-Pinkas Piano Duo (with his wife, Sally Pinkas). Their previous seasons have included tours in Nigeria, China, Russia, Italy, Bulgaria and Israel. He holds a Bachelor of Fine Arts from SUNY Purchase and a Master of Music from New England Conservatory. 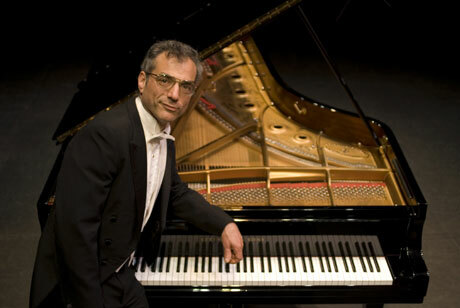 In addition to teaching piano and chamber music at Brandeis University, he has been on the Adult Education faculty at the New England Conservatory, and will be a Visiting Professor at Dartmouth College this spring.